Nigerian-American actress Yvonne Orji was spotted at the 1st Annual Marie Claire Young Women’s Honors looking fab in a blue lacy dress. The event was held at Marina del Rey Marriott on November 19, 2016 in Marina del Rey, California. We love how she paired the dress with a tan pair of pumps and went for an overall simple look. <> at Marina del Rey Marriott on November 19, 2016 in Marina del Rey, California. Also spotted at the event was Katie Holmes, Larvene Cox, Melanie Fiona, Zuri Hall, Karen Civil, Simon Biles, Gina Rodriguez and more. attends Moet & Chandon Celebrates The 2016 Young Women’s Honors at Marina del Rey Marriott on November 19, 2016 in Marina del Rey, California. How do you know she’s not a Nigerian citizen? What if she is a dual citizen? bellanaija u have started. u will not leave this girl alone now. 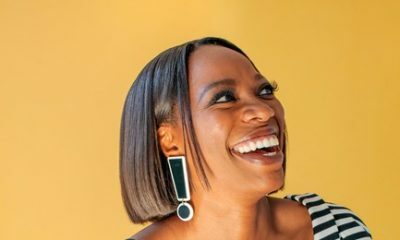 I am extremely happy for Yvonne Orji’s success. I met her a few years ago and can say she is genuine, funny and super talented. 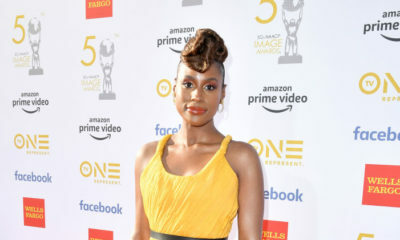 Wait is she the lead character in “Insecure” with the short hair? She looks different in pictures. Will look out for the show on Monday. No, she plays the best friend of the lead character. 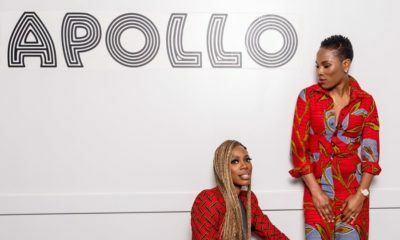 Yvonne Orji & Luvvie Ajayi repped Naija at the Famous Apollo Theatre & We’ve Got the Photos!